A gift box containing three of the most popular items from our limited edition holiday collection. Expertly hand-bound watercolor sketchbook featuring a unique, one of a kind printed Lokta cover with maroon accents. Our Hushwing Collection of natural earth and modern pigment handmade watercolors offered in a yellow authentic vintage tin. Our Colonial Palette of natural earth pigment handmade watercolors offered in a white authentic vintage tin. Hand carved wooden palette featuring two enamel coated dishes for mixing watercolor paints, along with a grooved brush rest in the center. Our Hushwing Collection of natural earth and modern pigment handmade watercolors offered in a white authentic vintage tin. 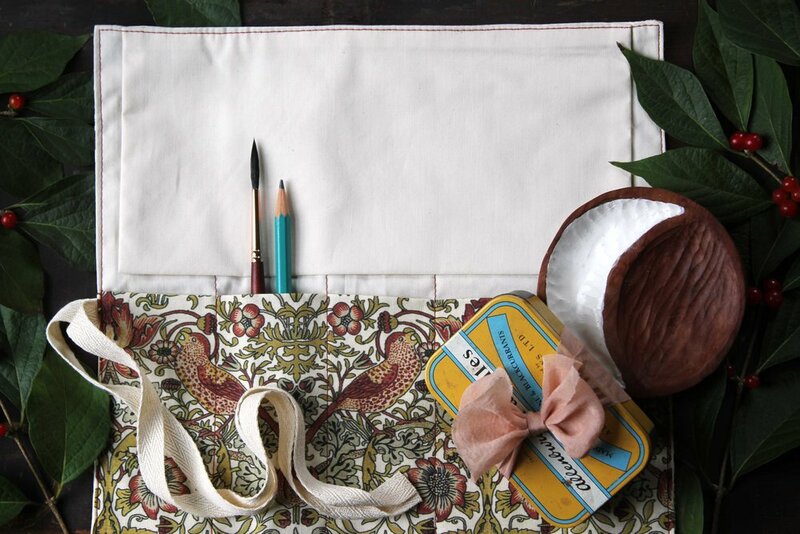 Our Colonial Palette of natural earth handmade watercolors offered in a white authentic vintage tin. 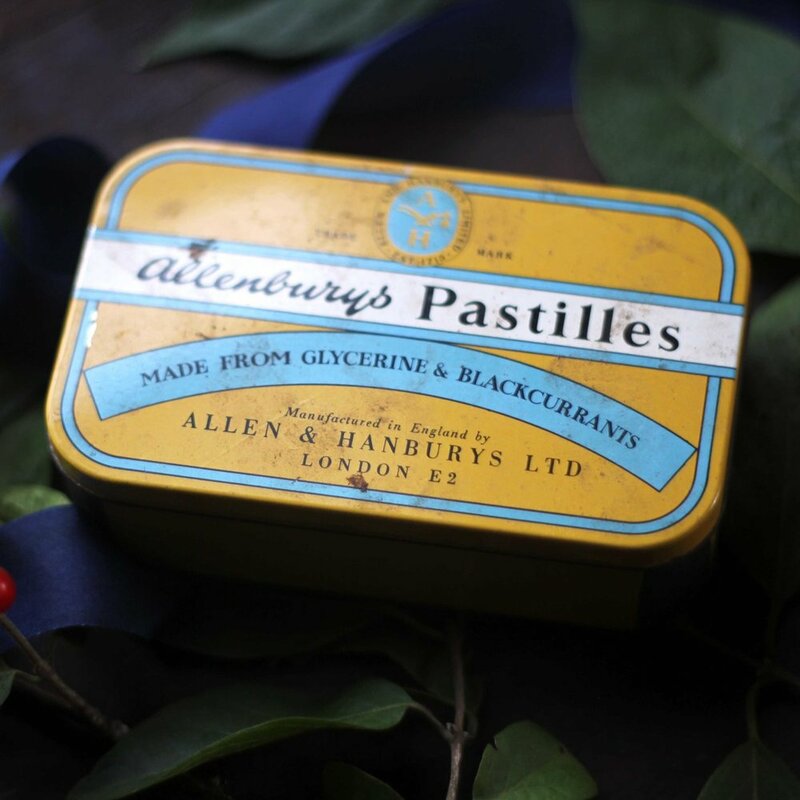 Our Colonial Palette of natural earth pigment handmade watercolors offered in a blue authentic vintage tin.